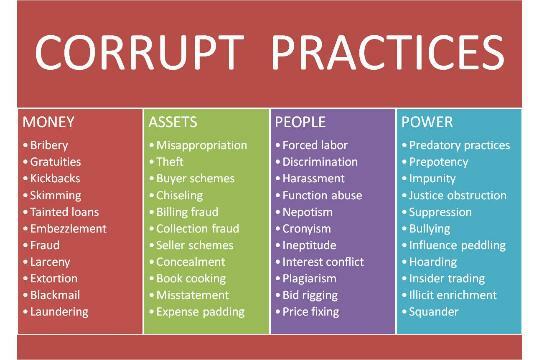 resources for personal gain, and each of which requires different solutions. 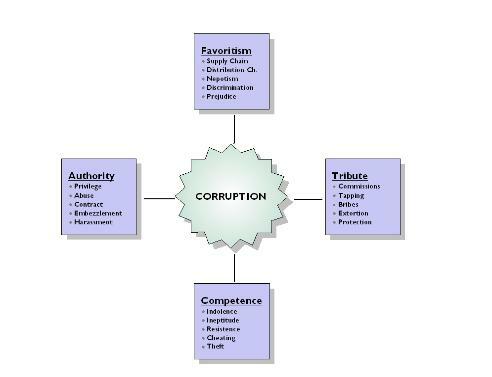 1) FACT (corrupt practices by Favoritism, Authority, Competence and Tribute). 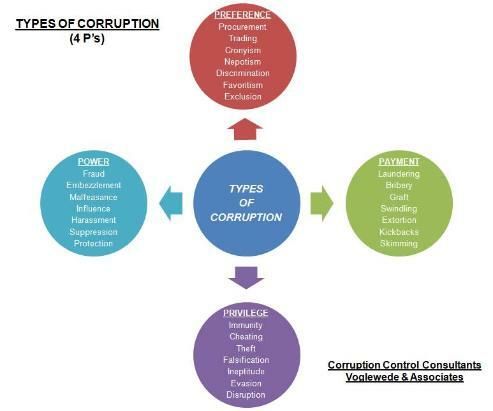 2) 4 P’s (Preference, Power, Privilege and Payment). characteristics, and therefore, will require different solutions.